The candleholders are available in more than 110 colors. Lamps Plus has expanded its exclusive, patented colorful product line, Color Plus™, with the unveiling of Color Plus candleholders. The candleholders are available in over 110 custom designer colors and sold as a set of two, each with alternating heights. Color Plus, which has featured a multitude of colorful lighting options, now expands to home décor with the addition of candle holders. 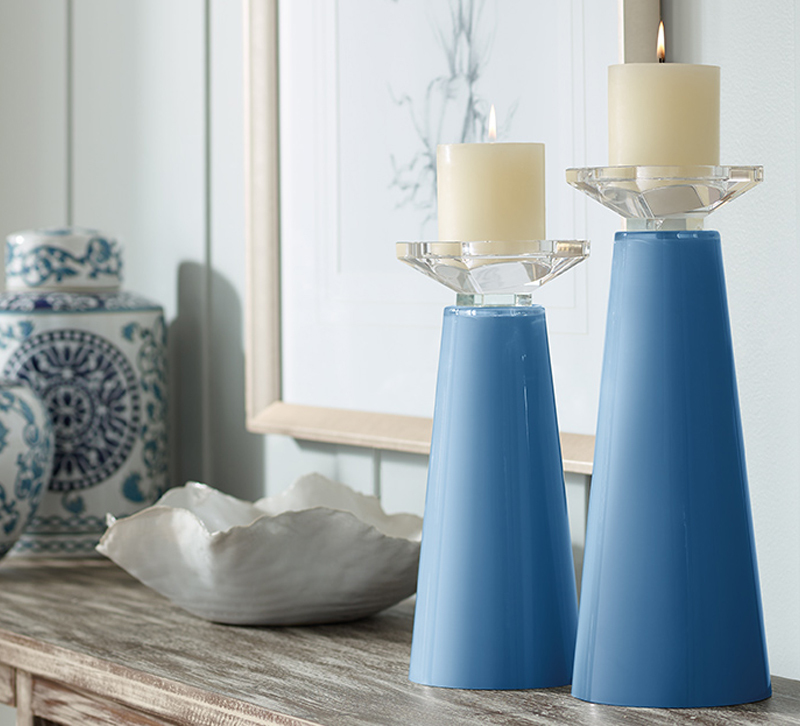 Available in-store or online from Lamps Plus for $69.99, the stylish candleholders come as a pair and feature a cone shape topped by clear crystal accents. Offered in numerous colors, including shiny metallic tones and clear, the tall candle holder is 16.75 inches high and the small is 11.75 inches high, offering the ability to showcase the design on a table or mantle. The candleholders, which can hold pillar-style candles (sold separately), are handcrafted by artisans in California. As more consumers design their homes by certain colors, color searches on LampsPlus.com continue to increase. Customers can now easily find and coordinate home accessories by color. Paired with Color Plus lighting fixtures, the candleholders can add a cohesive look, confirming Lamps Plus' commitment to offering selection and value. Using a patented process exclusive for Lamps Plus, the Color Plus lighting line was first introduced in October 2012 and now numbers over a dozen different base types, including chandeliers, pendants, wall lights, table lamps and floor lamps. The entire Color Plus Collection is available at LampsPlus.com/color-plus/.